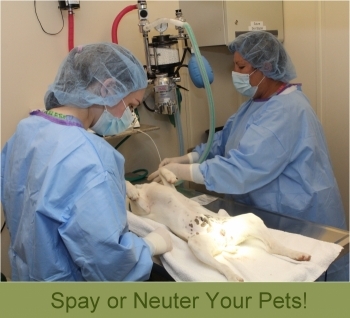 Spay and Neuter- Help to control the overpopulation of the homeless animals, spay and neuter your pets! Adopt - Sadly, millions of pets are euthanized each year in the United States simply because too many people give up their pets, and too few people adopt from shelters. By adopting from a legitimate shelter or a nonprofit rescue group you won't be supporting the puppy mills and you will be saving a life! Volunteer - ﻿When you lend your time to animals who are in need, you are contributing to the solution instead of adding to the problem. 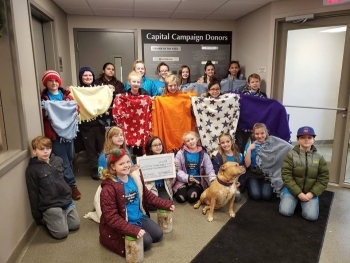 Each and every time you bring some joy into a homeless animal's heart, they will give back with a wagging tail, a soft purr or a grateful nudge. This will put a shining smile on your face that is sure to last long after you leave the shelter. Educate - ﻿EDUCATE friends, family & neighbors! Spread the word to members of our community about animal welfare and the importance of adopting and spaying/neutering their pets! Teach others that pets are NOT disposable! Foster - ﻿Foster families are beneficial to the shelter, providing temporary homes for animals with minor health needs, animals in need of simple training or mothers with litters too young to adopt. Our foster families provide extra care to animals that cannot necessarily be provided at the shelter. Foster animals often find homes quickly because of the care and training they have had through fostering. Consider having one of our furry friends as a guest in your home/pet bed and breakfast!